Elitism and snobbery are not confined to the political class. It also exists in other venues, including sports. Every year the baseball writers vote on candidates to the Baseball Hall of Fame. If a player languishes for ten years without getting 75 percent of the vote, they fall off the ballot. Some of these players are later recognized by Hall members (players, managers, and executives) who have formed era committees to consider the candidacies of exceptional players not confirmed by the writers. Yesterday this committee voted to select All-Star relief ace and one time all-time saves leader Lee Smith and All-Star Hitter Harold Baines to the Hall of Fame in 2019. While the selection of Smith was unquestioned, the selection of Baines was. This is where elitism and snobbery come in. Individuals who have been vested with the responsibility of selecting players for the Baseball Hall of Fame have been accused of taking an elitist and holier than thou attitude towards ballplayers who are on the ballot. Take Craig Biggio, a Houston Astro who amassed over 3000 hits, He had to wait two years to get elected. There is also Trevor Hoffman who was also a one time saves leader who also had to wait two years. Then there are players like Fred McGriff (493 home runs, a batting average better than Reggie Jackson) and over 1500 runs batted in) who can not seem to get the recognition he deserves. Then there are players like Ted Simmons, the late Thurman Munson, Lou Whitaker, Jim Kaat, Tommy John, Ron Guidry, Dwight Evans, Bernie Williams, Dale Murphy, Sparky Lyle, and Luis Tiant who have had careers better than current Hall Members who have not made it yet. Even figures that have shaped the game like Union Leader Marvin Miller or the late George Steinbrenner (whose teams greatly outperformed those of other Hall members like the late to baseball integration Tom Yawkey of the Red Sox). have not gained entry. 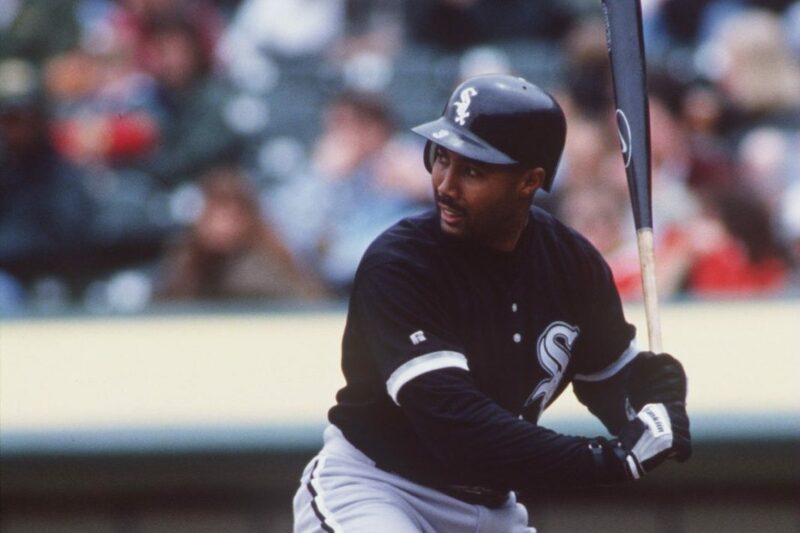 Then there is Harold Baines, a 22-year baseball veteran who played for the Chicago White Sox, Texas Rangers, Baltimore Orioles, and Oakland A’s. Where does Mr. Baines compare with other Hall of Famers? His 2866 career hits are better than Hall of Famers such as Brooks Robinson, Ivan Rodriquez, Ken Griffey Jr, Andre Dawson, Tony Perez, Chipper Jones, and Roberto Alomar. If it were not for two baseball strikes during his career, he likely would have amassed the magic number (for Hall Candidates) of 3,000 hits. His 384 home runs are better than Hall of Famers like Jim Rice, Orlando Cepeda, Carlton Fisk, Yogi Berra, Craig Biggio, Ryne Sandberg, and Robin Yount. His 1,628 runs batted in are better than Hall of Famers such as Chipper Jones, George Brett, Mike Schmidt, Harmon Killebrew, Willie McCovey, Willie Stargell, Jeff Bagwell, and Mickey Mantle. His .289 batting average is better than Hall of Famers like Eddie Murray, Alan Trammell, Carl Yastrzemski, Ryan Sandberg, Dave Winfield, Craig Biggio, and Reggie Jackson. Harold Baines belongs in the Hall of Fame. There should be no doubt when comparing his career to former players already enshrined in the Hall. To those who think he does not, you need to reexamine how a players career is judged. This could be extended to those writers who vote players into the Hall and the guidelines they have employed for players to make it through. This change in attitude could also be applied to the political sphere where pundits and analysts should consider candidates based on the totality of what they bring to the table and consistent performance rather than how well they perform on stage or where they stand in the polls.